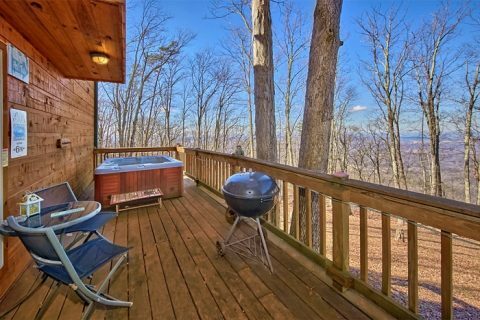 Welcome to "Sky High Hobby Cabin," a secluded Smoky Mountain honeymoon cabin with views. 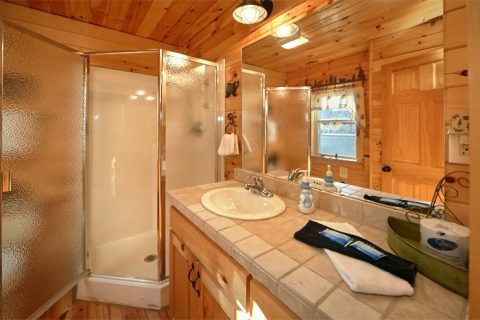 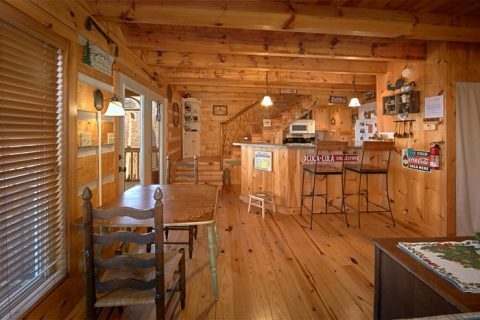 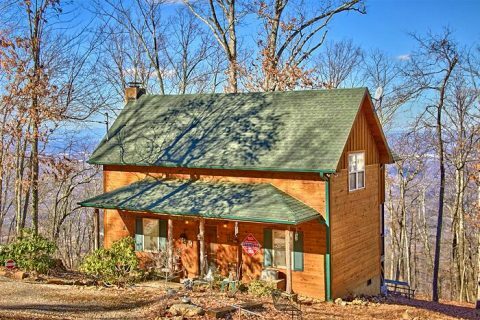 This 1 bedroom cabin close to Pigeon Forge is one of our Tennessee cabins on a mountain top. 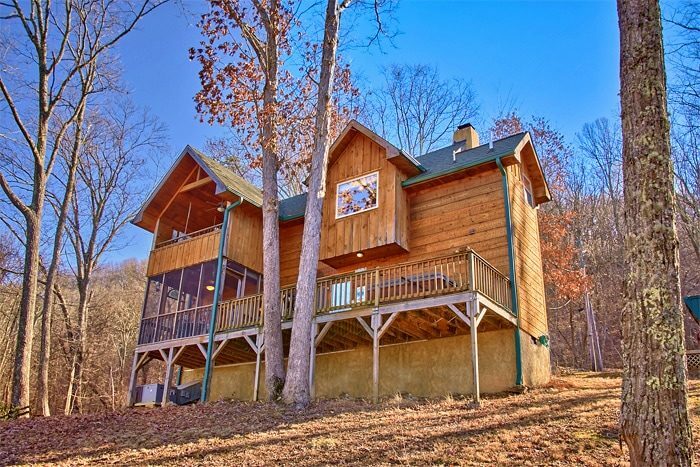 Perfect for a romantic weekend away or a memorable honeymoon in the Smokies, guests will love this cabin that offers great views, privacy, and convenient access to nearby attractions. 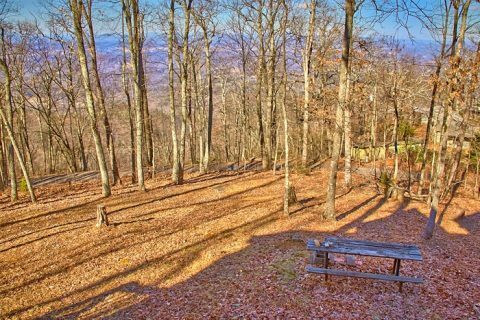 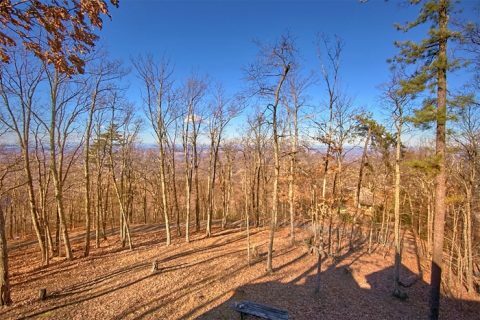 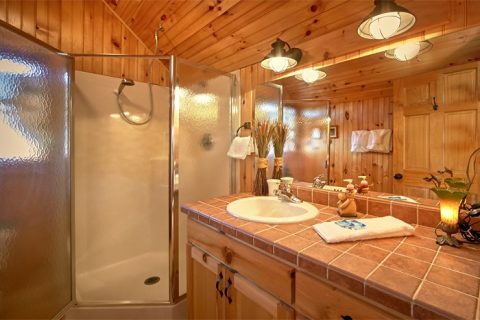 Not only does this secluded cabin rental near Pigeon Forge enjoy a prime location, it also offers comfortable amenities perfect for romance and relaxation during your vacation. 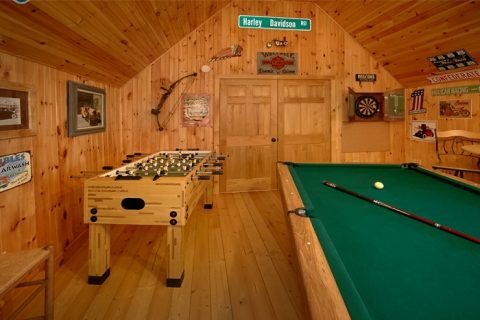 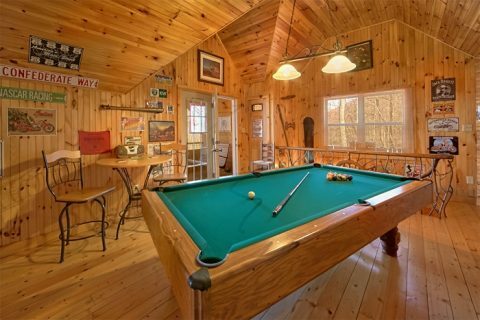 Enjoy a round of pool or foosball in your Smoky Mountain cabin with a game room. 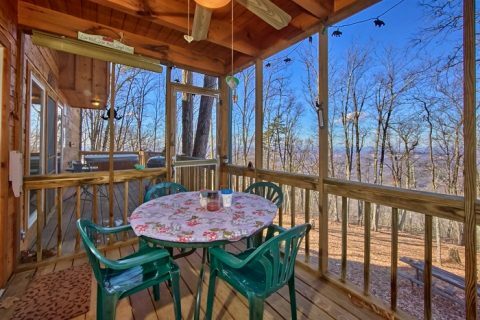 Wake up to stunning mountain views to enjoy while you sip your morning cup of coffee. 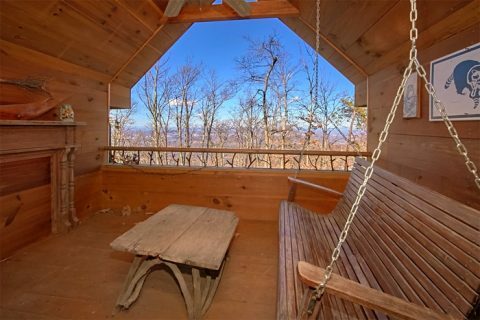 Sit on the porch swing and unwind while you breathe the fresh mountain air. 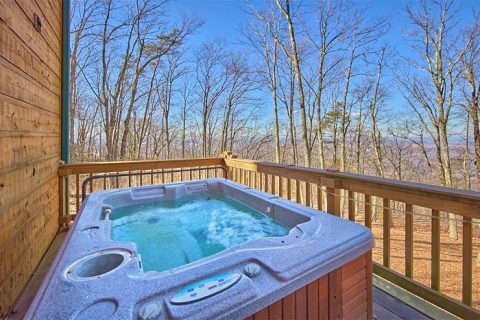 After a long day exploring the mountains, you can rest your weary bones in your cabin's outdoor hot tub nestled among the trees. 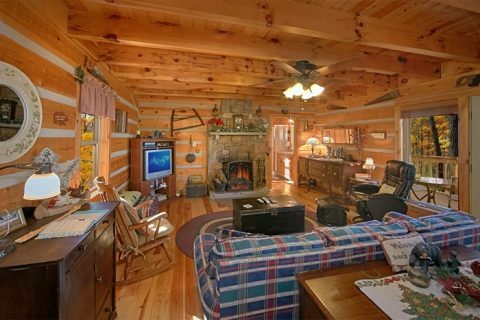 For a romantic evening at home, sit by your seasonal, wood fireplace to fully enjoy the inviting space that your log cabin offers. 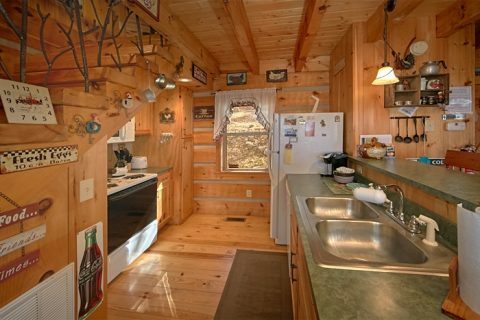 Prepare a delicious dinner for two with your cabin's kitchen and charcoal grill. 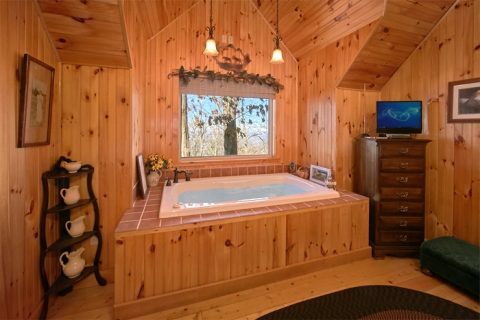 Before bed, enjoy a soothing soak in your jacuzzi tub. 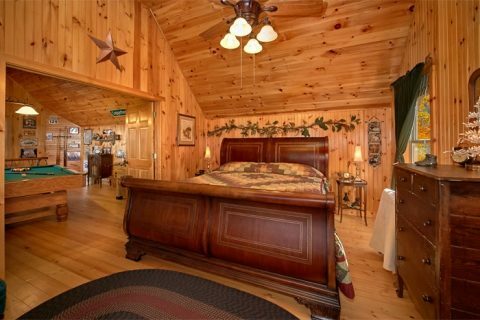 When it's time to get some rest before your next day of adventure, you can look forward to sleeping in your king-size bedroom. 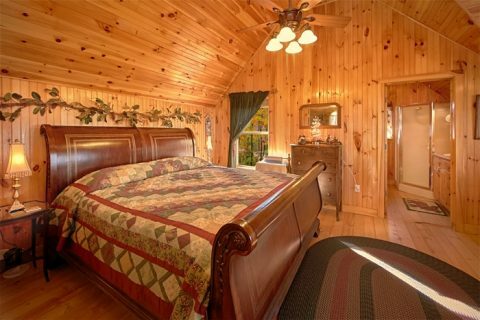 Book online with Cabins USA Gatlinburg and save 15% on your secluded honeymoon cabin rental in the Smoky Mountains of Tennessee. 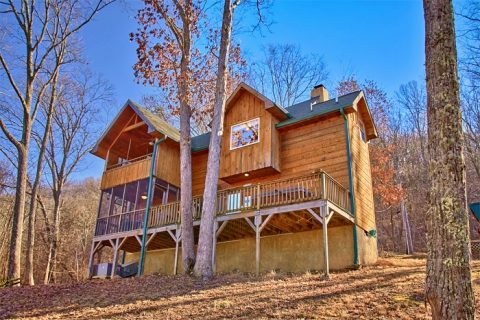 Reconnect with the things that matter most in your private log cabin on a gorgeous mountain top that's close to all the action.